I had last traveled to Europe in summer 1978. When I was there 5 weeks, riding a passenger rail system far superior to what exists in the US. At various times I felt urges to go back to Europe. But in 2018, 40 years later, the time was finally right. I decided to be gone for a week and a half, focusing on my favorite areas. The London area, and the Netherlands. I departed Chicago/O'Hare on Sunday August 26. At least once in my life I wanted to fly a Boeing 747. 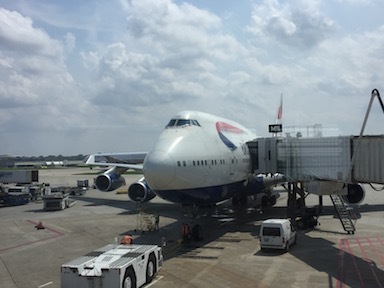 British Airways is one of the last major users of the 747. Worldwide, stored value smart cards with imbedded chips have been adopted by transit systems for fare collection. In Chicago, this includes the Ventra Card. In London, it is known as the Oyster Card. Prior to travel, I ordered a Visitor Oyster Card, preloaded with 40 British Pounds value, and mailed to me in the US. Although I had to "top it up" once, or add value at a vending machine. 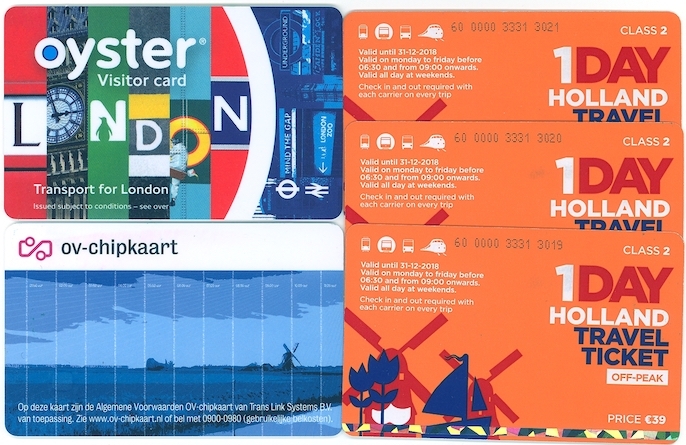 For most of my travel in the Netherlands, I bought three "Holland Travel Tickets", marketed towards tourists. For each day, they gave me unlimited travel on the Netherlands Railways, and on local streetcars and buses, and regional buses. I ordered them online and printed out vouchers, and presented the vouchers at a bookstore in the Amsterdam Centraal Station. For the day I arrived in the Netherlands and the day I departed, I bought an "OV Chipkaart", or chip card. A stored value card which also works on all railways and streetcars and buses. When I first bought it I guessed how much value I would need, but I had to add value a few times. For the longer distance trains, which were both directions between London and Scotland, the Eurostar train from London to Brussels, and the Thalys train from Brussels to Amsterdam, I booked those trains in advance from the US, and printed out tickets. Observations on the differences between the United States and Europe, for various trains and public transportation.